HATCH ENERGY GROUP is delighted to have partnered with IRIS Group, a highly specialised UAS company based in the UK. 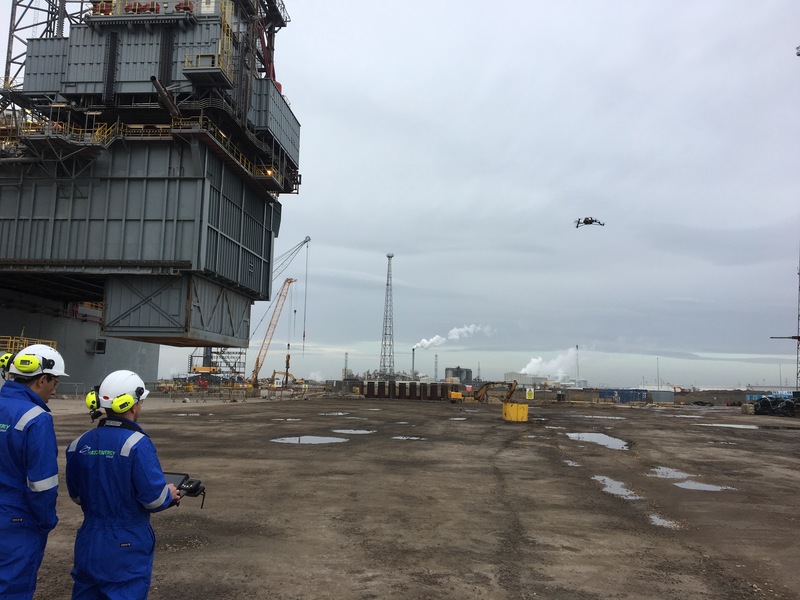 This unique partnership allows Hatch Energy Group to offer clients, worldwide, an alternative and innovative option for conducting UAS inspections in conjunction with rope access, whilst significantly reducing costs. Hatch Energy Group and IRIS Group, companies at the forefront of commercial inspections globally, team up to combine traditional methods with new unmanned airborne technology to deliver exciting new solutions. Hatch Energy Group (HEG) and IRIS Group have partnered to form an exclusive alliance to deliver a bespoke inspection offering to their clients, globally. The partnership will deliver an enhanced, innovative solution, which will reduce clients costs and downtime. Together with HEG’s extensive experience and knowledge in on/offshore inspection services and IRIS’s Unmanned Air Systems (UAS) pedigree, clients are guaranteed to receive a first class service at a greatly reduced cost compared to traditional methods. UAS offer a real and viable alternative to traditional solutions. Agile and highly automated, they deliver significant capability with integrated software to provide enhanced functionality. Offering significant cost savings and associated reduced risk to health and safety, their versatility enables them to operate in a wide variety of commercial sectors with great success. UAS otherwise known as “Drones” have rapidly become an alternative solution for conducting visual inspections in areas at height or areas which are difficult to access, both on and offshore. Traditionally, an alternative access method such as scaffolding would be required to gain access to the areas which require inspection. This process involves extensive logistics and personnel, not to mention excessive time and cost, to complete the task. With its UAS offering, a two man team, consisting of one pilot and one inspector, is deployed and flies the entire worksite, delivering live stream optical and infra red images and video footage, facilitating extensive reports backed up by robust data and asset management, to the client, in a timely manner. Any identified defects can then immediately be addressed by the deployment of a rope access team, to the area(s) of concern, where the necessary repair works can be implemented. This is a clear cost saving solution with minimal disruption to on going operational activity at the worksite. The partnership of HEG & IRIS puts it at the forefront of technology and services, delivering state of the art end to end solutions from the inspection through to the comprehensive report and asset management, to the final repair/maintenance itself. This comprehensive network of resources, wealth of knowledge and proven experience enables HEG & IRIS personnel to deliver intelligent and cost effective solutions to complex challenges, whilst adhering to the highest standards of safety, quality and performance at all times.